It is time to renew my Certified Flight instructor [CFI] certificate, again. That means I am not focusing on photography as much at the moment. It is a balancing act between all of the priorities. 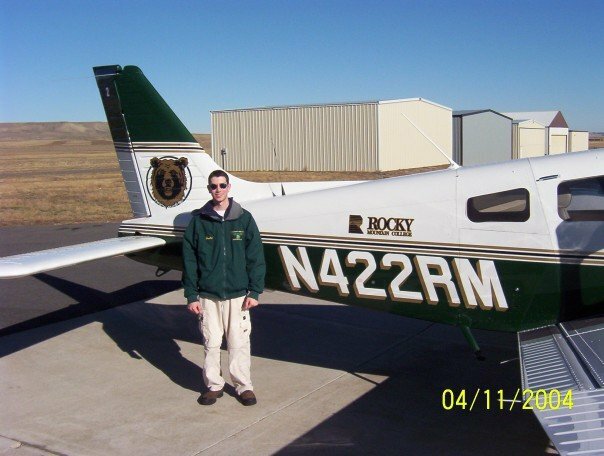 Here is a throwback picture from the day that I completed my first solo flight. It is a tradition for the authorizing CFI to cut the shirt tales off the student pilot after the solo flight is complete. I found mine while I was sorting through my aviation materials! My flight instructor took my entire shirt. In a way, that broke the tradition. It is still a cool memento from that day – 11/4/2004.